Upon connecting with Kirk Fletcher, I had to let him know that I think his latest release Hold On is fire. The playing is super clean, with no muddled notes or sound. From the opening track, Two Steps all the way through his tribute track to Cornell Dupree to the end of the album. Joe Bonamassa says Fletcher is one of the best guitarists in the world. The accolades and nominations are pouring in for the guitarist. 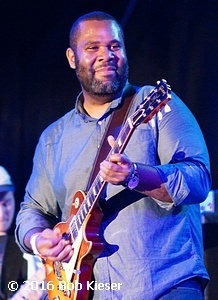 His stint as lead guitarist of Kim Wilson & The Fabulous Thunderbirds, in addition to his performances with Pinetop Perkins, Hubert Sumlin and James Cotton, as well as his collaborations with Charlie Musselwhite and others, have vaulted him to the head of the class of current trend setting Blues and R&B guitarists. 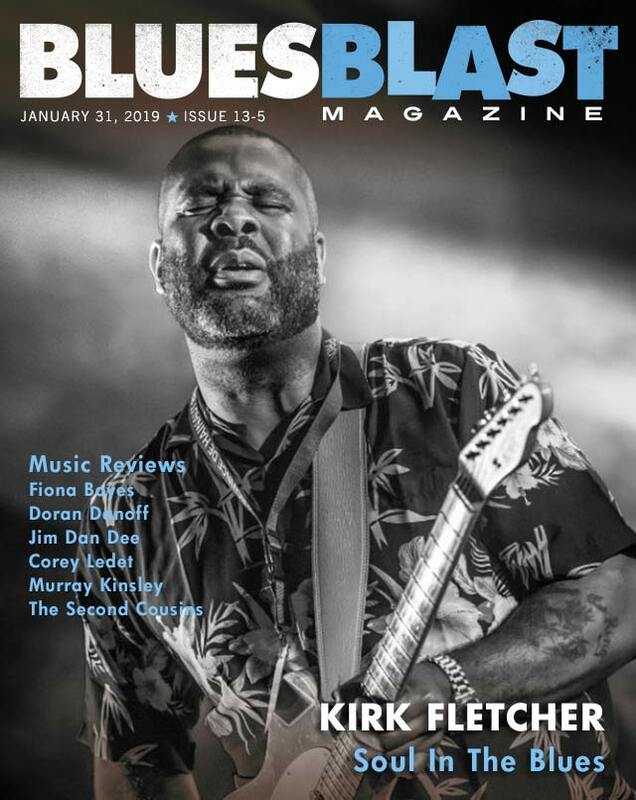 In a free ranging discussion with Blues Blast, Kirk expounded on his world of music and career. “Blues and soul are similar to me, you know? I don’t mean Soul music. I mean being soulful. 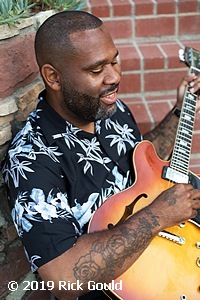 When I hear Blues that are soulful, I can feel that.” So states Fletcher, the Southern California raised son of a preacher man, who spent a considerable amount of his formative years in Compton. And yes, he did dabble in other genres before settling on the Blues. I asked him about any connections to Hip Hop. Kirk started following in his brother’s guitar footsteps at age eight, playing in their father’s church. It was a Pentecostal Church of God In Christ, from where many a musician has honed his or her chops. Sly and Freddie Stone, Stevie Wonder, Natalie Cole and Michelle Shocked have all been members of a COGIC Church at one time or another. Unfortunately Kirk’s brother passed away some years ago. Before he passed he took young Kirk to an L.A. music store, Guitar Works. It was there he met Robben Ford’s guitar tech, Jeff Rivera. “Yeah, my buddy Jeff and I are still friends to this day. From the time I was about sixteen. By the time I graduated high school, I was going to Guitar Works every day. I mean, every day! I was also playin’ four and five nights a week in church as well as little side gigs. So I was pretty much a regular guitar player, whatever that is, you know, playin’ lot of music and practicin’ all the time. Another stepping stone in Kirk’s career was Al Blake, lead singer and harmonica player of the Hollywood Fats Band. “Al Blake is very much responsible for exposing me to a lot of obscure Blues artists. The whole Blues spectrum, really. He showed me how to play in different positions and styles like Country Blues. The differences in styles between for example, the Jimmy Rogers/Muddy Waters style. The Luther Tucker/Robert Lockwood, Jr. style. And the Louis and Dave Myers style. He introduced me to so many other West Coast Blues artists and taught me about the interplay between harmonica and guitar. I could easily identify with the call and response aspect of it which is what we did in my father’s church. “Today when I play, I try to let everything go and let the music take over. It comes from playin’ on the road. I try to be a pretty spiritual person in general without getting too religious. I let that flow through my music. And I’m a fan first. Of B.B. King, Albert King, Luther Tucker, Eddie Taylor, Jimmy Dawkins. So I try to make it exciting for people as they did and do for me . I really try to impart that into my guitar playing. “I believe the first time I played with Pinetop was maybe at Antone’s Blues Club in Austin, Texas. It was one of those Blues Anniversaries and Kim made that happen. It was like the Muddy Waters Blues Band and different guitar players would come in and out. That was the kind of thing where the young musicians could play with the older ones. Clifford Antone was always doin’ that in his club. I think that’s where I got to play with Hubert Sumlin and Mojo Beauford in addition to Pinetop the first time. The gear discussion also comes up. Kirk reveals his current penchant for experimentation. These days Kirk lives in Switzerland, but comes into L.A. several times a year. I asked, how he came to live in Switzerland. As far as the press accolades and heavy praise being heaped upon him, Kirk Fletcher keeps a level head. 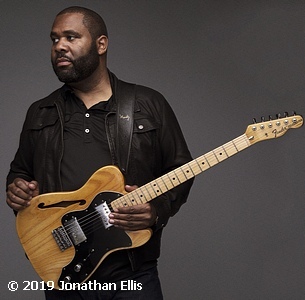 As January 2019 closes, he is in L.A. doing a few gigs in the wake of his appearance at the NAMM Convention. Then it’s back to Switzerland to get ready to hit the road in Europe followed by Joe Bonamassa’s Blues Cruise.